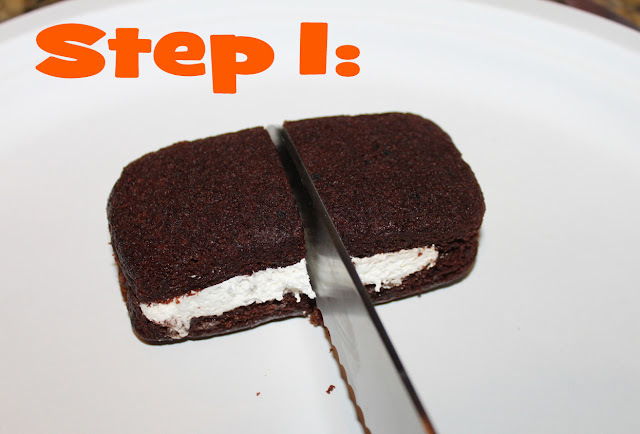 This might just be the easiest dessert trick in the book! 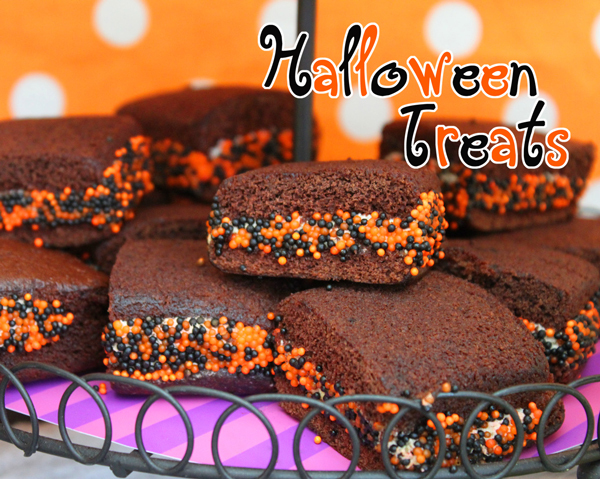 With a few grocery store ingredients, you can make the perfect after school treat or even a fun classroom Halloween party food in no time at all. 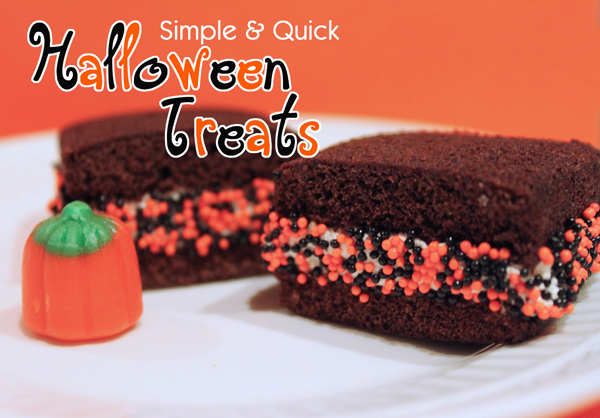 All you need is a box of Suzy Q's and some Halloween non-pareils.... that's it! It's truly that easy! 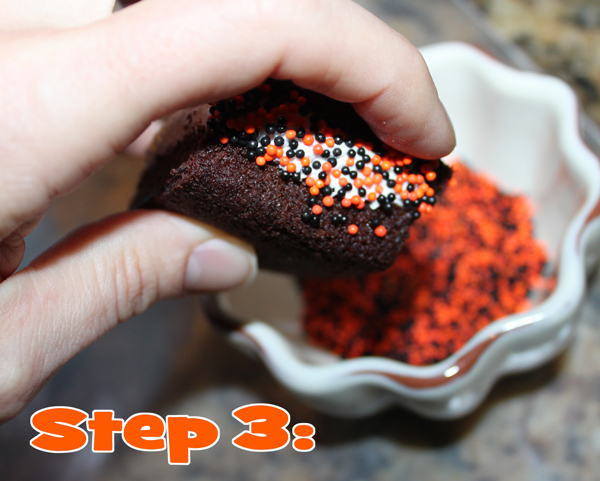 In just a few minutes, you can make easy and yummy Halloween treats! Hope you are all getting those costumes ready for the big day! This is just too easy, and so much fun! Thank you for sharing! Sometimes the easiest treats are the best!!!! So easy. Why didn't I think of it! Sometimes I am amazed at all the simply things I have never thought of. Thanks for sharing. you are right super cute, easy and fast!! 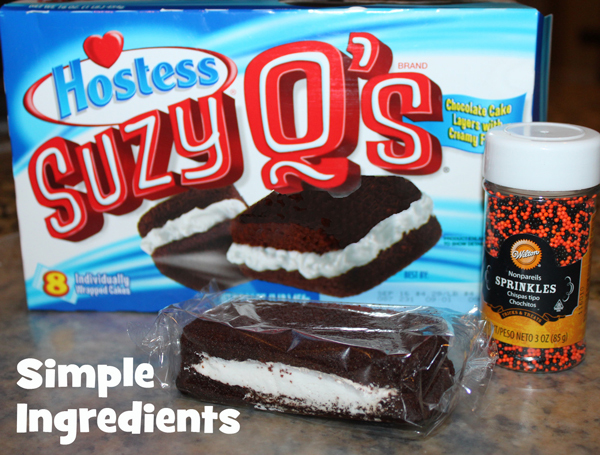 Ahh...Suzy Q treats, a blast from the past. I am adding this to one of my Pinterest boards. My kids will love these. I am totally agree that, the easiest treats are the best. I will make it on tomorrow our gold party, I added it with your shared cook photographs. Really recipe. That is so fun and so easy! I will have to remember this next time I need a quick snack for one of my boys' classes! So simple. 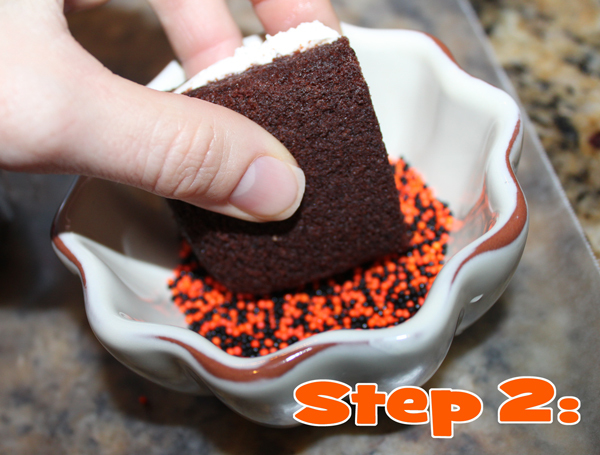 I would love for you to stop by and link up your treats to More the Merrier Monday. It lasts through Wednesday so you have plenty of time to link up. I also have a link party for Halloween projects only at http://diyhshp.blogspot.com/2011/09/trick-or-treat-link-party.html that I would love for you to link up to as well. You are a smart one, these are easy and festive. I'm featuring this post on my blog post on Monday. Hugs and happy weekend wishes!! wow that was to easy!! i love this idea!